The growing baby boomer population who will need quality health care services means numerous employment opportunities for Licensed Practical Nurses. The prevalence of outpatient procedures, long-term care, and in-home care, provides even more places for LPNs to use their skills beyond the traditional hospital setting. LPN training is one of the fastest ways to enter the health profession compared to other paths, which require 3 to 4 years of training. According to the 2014 figures, there are 23,650 LPNs employed in Georgia with 960 new job openings annually. The highest paid professionals earn $38,960 per year, but for many LPNs, the benefits go beyond the paycheck and employer benefits. For many, the real rewards come from caring for others in their greatest time of need. LPNs must work closely with Registered Nurses, Certified Nurse Assistants, and doctors, to provide basic comfort and monitor patients’ health. Therefore, a propensity for working with others is a definite must. The Georgia Board of Nursing requires all LPNs to pass a licensure exam and maintain their licenses to practice as a way of safeguarding public health and keeping track of these healthcare professionals. The state of Georgia offers numerous (27 as of 2015) accredited training options for those seeking to become Licensed Practical Nurses. Board-approved training is available at colleges, vocational schools, and private institutions; all with approved curriculums offering more than 1150 hours of instruction to prepare graduates for success on the NCLEX-PN. Training also prepares students for work in various healthcare settings, including hospitals, clinics, and long-term care facilities. Through a combination of theoretical instruction, practical work, and clinical experience, students learn the skills and acquire knowledge to provide safe and effective care to patients. Students should seek out accredited programs approved by the Georgia Board of Nursing to ensure a seamless process when applying for state licensure. The course curriculum covers topics, such as diet and nutrition, maternity nursing, nursing leadership, structures and functions of the human body, psychology, pharmacology, and nursing fundamentals. Students also learn the essentials of medical-surgical nursing, pediatric nursing, and geriatric nursing. Entrance requirements vary by institution, but generally includes a high school diploma or GED, criminal background check, success on the placement exam, drug screen, TB test, liability insurance, MMR, and current CPR. The program must facilitate a minimum 485 clock hours of clinical training at an approved hospital, nursing facility, outpatient clinic, or long-term care facility. The experiential training affords students the opportunity to practice the skills they learned in the classroom and lab setting. At the conclusion of the program, graduates should demonstrate the principles of effective communication, astute observation, strong interpersonal skills, critical thinking, knowledge of medical equipment, and patience and empathy for those in need of medical care. Graduates are eligible to take the NCLEX-PN for state licensure to practice nursing in Georgia. Duration and Cost of Training: LPN training at Georgia’s technical colleges, such as Chattahoochee Technical College and Georgia Northwestern Technical College, cost an average of $7,000 for tuition plus $2,000 for textbooks and supplies. Admission expenses, such as the cost of drug screening, placement testing, TB test, physical exam, immunization, liability insurance, and criminal background check are students’ responsibility and not included in the advertised cost of tuition. The NCLEX-PN is a licensing requirement in Georgia, and the sooner you pass the exam, the sooner you can register and begin practicing. One of the best ways to increase your success is to enroll in a college with a high pass rate – a list of programs are available below. The Board of Nursing expects approved providers to maintain an 80% pass rate, but many exceed the minimum. In preparation for the exam, Pearson Professional Testing (PPT) recommends that all candidates study the NCLEX bulletin before registering for the exam. PPT is an established testing administrator entrusted with the responsibility of overseeing the exam at their computerized testing centers. You can apply for the NCLEX online, over the telephone, or via snail mail, and pay the registration fee of $200 using a money order, check, or credit card. Make sure to provide an accurate email as PPT will use electronic communication as their primary mode of communication. Your application to PPT should coincide with your application to the state Board for licensure. The testing administrator will send the Authorization to Test letter after the Board of Nursing grants approval. Receipt of the ATT letter is confirmation that you’ve successfully completed the process, and you can then schedule your NCLEX – the time for approval after submitting your application is approximately 4 to 8 weeks. You must schedule a test date within 90 days of receiving the letter. Print the ATT and take it with a valid form of picture ID to the testing center. Georgia law requires practical nurses to obtain a license through the Board of Nursing before taking up employment. There are three routes to securing a state license: through endorsement, examination, or reinstatement. The information below will help you determine your options for licensure in Georgia. Graduates of Board-approved practical nursing programs should submit the application for licensure online. Pay the non-refundable application fee of $40. Include a correct email address as it is the most reliable way to receive communication from the Board and resolve issues. Register with Cogent Systems and follow the instructions for submitting your fingerprints to complete the criminal background ground check (for in-state or out-of-state residents). The application for licensure will not be complete without the criminal background check. Provide your social security number – the Board will use the number for license tracking purposes. Respond to all questions relating to Board Disciplinary Actions/ Legal Convictions and include legal documents and a notarized explanation of each offense if you respond “yes” to any questions. Register and pay the examination fee for the NCLEX-PN to PPT when you submit your application to the Board – register with the same name used on the application for licensure. If you graduated from a nursing program approved by the Board, the school would submit your information to the Board electronically. If you graduated from an out-of-state nursing school, you must submit a paper application and authorize the school to send official transcripts to the Board. The nursing education program must meet the state’s requirements. You must have licensure as a practical nurse in another jurisdiction to apply for licensure by endorsement in Georgia. The Board will also require proof of your nursing education – this should have been completed before taking the licensing examination. Out-of-state LPNs may not practice in Georgia until the Board provides confirmation of licensure. Submit your paper application, making sure to answer ALL questions. Indicate N/A for questions that are not applicable. Enclose the non-refundable application fee of $75.00. The application is valid for one year after receipt. Submit official college transcripts – sent directly from the nursing school to the Board. The program must meet O.C.G.A. requirements – a minimum of 685 clock hours of theoretical training and 485 clock hours of clinical training. Submit verification of licensure from your original state of licensure. If your original state utilizes Nursys.com, you can authorize verification to the Georgia Board of Nursing. Verification of employment indicating at least 500 hours of licensed practice within a five-year period preceding the application date. Proof of graduation from an eligible nursing program within one year preceding the application date. Verification of initial licensure within one year preceding the application date. Proof of completing a reentry program approved by the Georgia Board of Examiners of Licensed Practical Nurses. Disclose all arrests and disciplinary actions taken by any other regulatory boards. Provide a certified copy of official documents and a notarized explanation of each offense. You should register with Cogent Systems early to process your criminal background check without delays. Provide verifiable documentation of your US citizenship or residency – a driver’s license or US passport are examples of eligible documents. Notarize and sign the completed application and submit to the Board for processing. Individuals who previously held a practical nursing license in Georgia can reinstate their original license. Complete the application for reinstatement in its entirety. Use N/A for questions that are not applicable. Enclose the non-refundable fee of $80.00. Register with Cogent Systems to submit your fingerprints for a criminal background check. Submit a notarized letter of explanation if you respond “yes” to the Background Information and a copy of the final deposition for “yes” responses to questions 11,12, 13 or 14. Verify your current license through Nursys Verification or the License Verification Request form if your last place of employment was not in Georgia. LPNs licenses expire on January 31 of even-numbered or odd-numbered years. As a license holder, it is important that you check your expiration date as the Board does not take responsibility for sending renewal notices. If you fail to renew by the January 31 deadline, the Board will revoke your license, and you will have to submit an application for reinstatement to continue working as an LPN. Visit the Board’s website to renew your license online. You may request a paper renewal by contacting the Board using the information provided below. Follow the on-screen instructions and answer all questions. Submit the non-refundable renewal fee of $65.00. Submit documentation of US citizenship or residency. Individuals using the paper renewal form should respond to all questions, including the demographic information and provide a copy of eligible US identification. 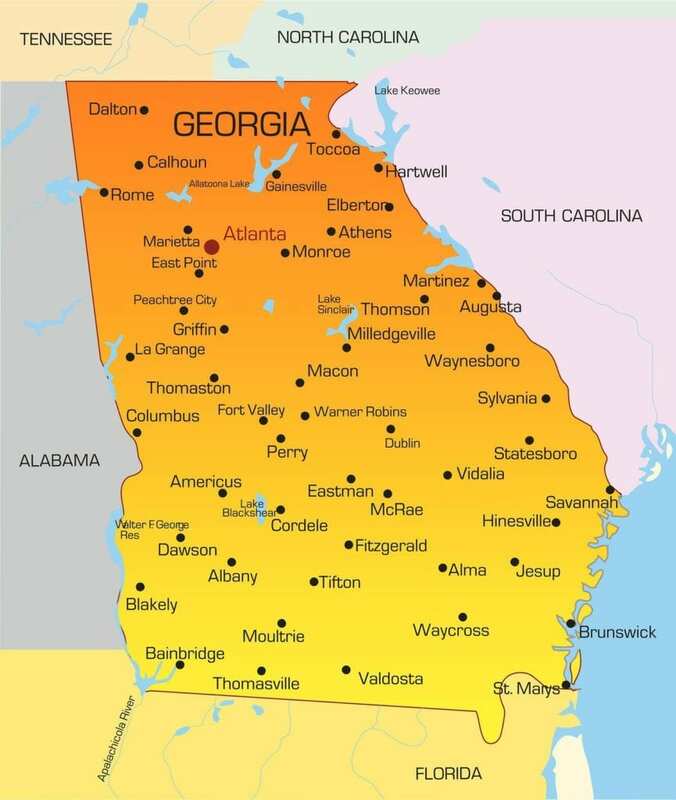 Georgia is home to some of the South’s fastest growing cities. As the senior population rises, the Department of Health and other agencies increase funding for nursing and other healthcare professions to alleviate the shortage of professionals in the industry. 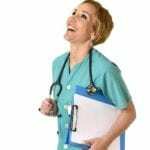 Although the Bureau of Labor Statistics predicts a 21% increase in jobs for Licensed Practical Nurses through the year 2020, employment opportunities vary by industry. 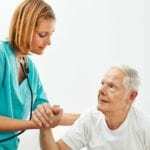 Overall, the greatest opportunities are available in home healthcare and long-term care facilities, where administrators have to provide for the needs of the geriatric population. In major cities, such as Atlanta and Augusta, hospitals will continue to be one of the largest employers of LPNs, who will use advanced technology combined with their professional training to meet the public’s demands for quality care. The 13,500+ LPNs in metropolitan areas like Atlanta, Marietta, Augusta, and Savannah earn an average wage of $1873 or $38,960 annually. LPNs in rural areas earn approximately $15.25 hourly or $31,510 annually. The rate of pay does not increase with experience or education. However, LPNs can increase their earnings with further study to become Registered Nurses (RN). Many facilities are phasing LPNs out. In fact, I work for a Magnet facility, and only BSNs are hired now. ADNs are grandfathered in, but all current management with ADNs must commit to obtaining their BSN. Not so much in Home Healthcare. Also not true for School Nursing. LpN programs offered everywhere. You can just add the bridge program after graduating. They’ve been saying for years LPN’s are being replaced by RN’s. Hasn’t happened as long I have been an LPN. I’ve been in hearing for years that LPNs are being replaced but yet I always see job postings for LPNs. I’m thinking about the LPN because I want to start a training program for CNAs. Lpn is a great start. Just go for RN. Take it from an LPN.!!!! If you know for sure you want to do nursing, go for your RN. I’ve been an LPN for 20 years & just finished my core for RN. I still have to do the nursing classes to bridge. I have been doing the work of RNs my whole career but at half the pay. Glad you decided to persue a RN degree. Me too 🙂 Guess it’s never to late to go back. I think I want to do this. No nursing experience but I love caring for people. Lpn programs in Atlanta area??? Piedmont Technical college on Wesley Chaple. It’s where the old Everest college use to be. You can get the program paid for for free! HAve to pass the Teas test first. And they only accept a certain number of candidates. The Tease is designed to keep people out of the program. It has nothing to do with your pre requirements for the nursing program. Yolonda Houston how can you get it paid for? If you have financial aid you don’t have to pay anything right? Hard to get into these programs. I went to the local LPN program at the age of 43. There was not an RN program within a reasonable driving distance. I worked for 16 years at a local hospital and loved every minute of it.